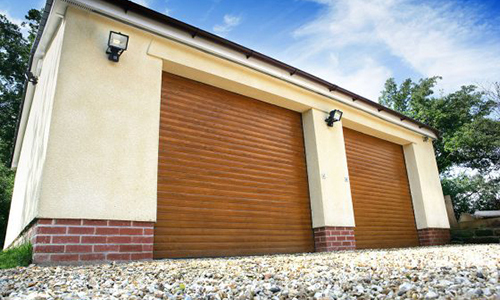 CS Garage Doors in Leeds selects roller doors from established manufacturer SeceuroGlide, who produce some of the most secure and reliable garage doors in Europe. SeceuroGlide garage doors are manufactured here in the UK and currently hold a strong position within the garage door industry. 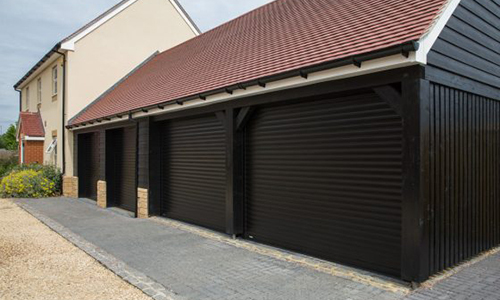 SeceuroGlide roller garage doors are manufactured from double-walled aluminium with an integrated insulated centre. The pioneering webbing structure provides a quiet operational system that remains stable despite extremes of temperature. The unique locking system delivers a reliable safety feature to guard against intruders. A vast array of colours, designs and finishes are available, with matching side doors to complete the desired finish. For further technical specifications download the brochure from this page or call 0800 158 4430 for a free brochure in the post.